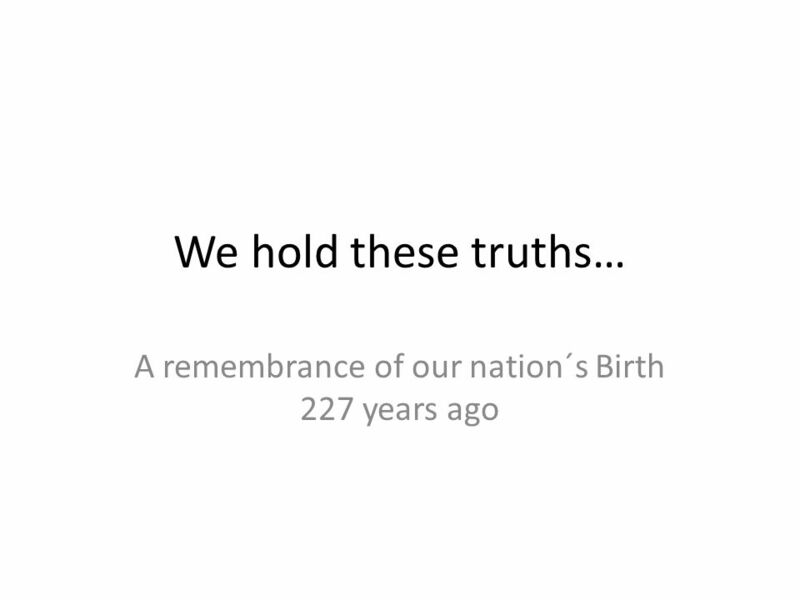 We hold these truths… A remembrance of our nation´s Birth 227 years ago. 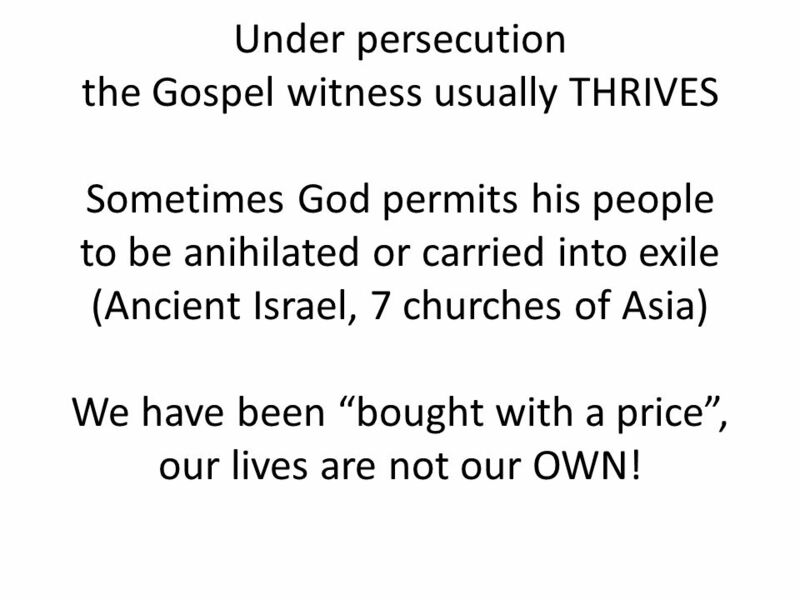 10 Under persecution the Gospel witness usually THRIVES Sometimes God permits his people to be anihilated or carried into exile (Ancient Israel, 7 churches of Asia) We have been bought with a price, our lives are not our OWN! 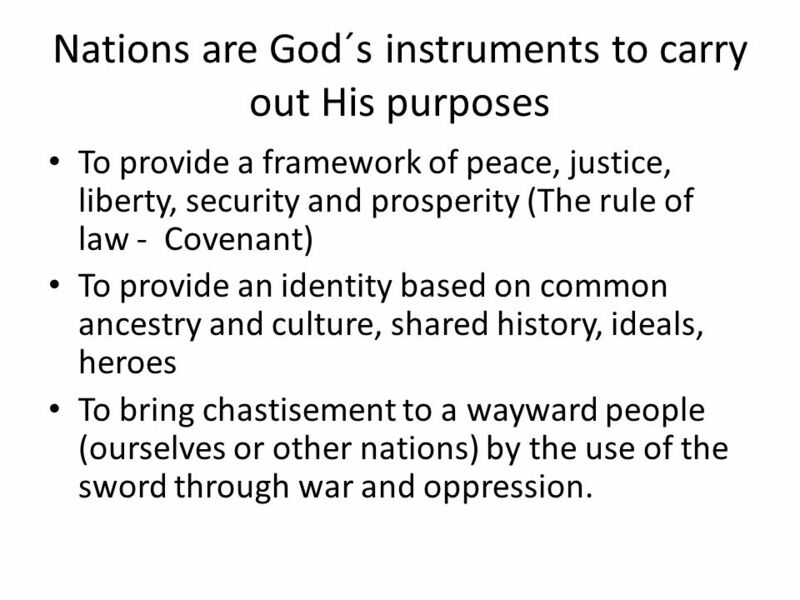 14 Nations are God´s instruments to carry out His purposes To provide a framework of peace, justice, liberty, security and prosperity (The rule of law - Covenant) To provide an identity based on common ancestry and culture, shared history, ideals, heroes To bring chastisement to a wayward people (ourselves or other nations) by the use of the sword through war and oppression. 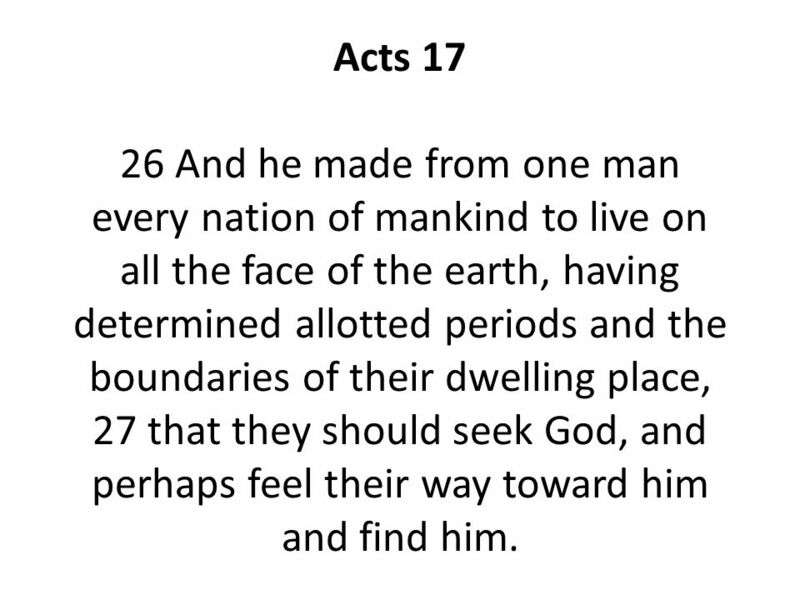 15 Acts 17 26 And he made from one man every nation of mankind to live on all the face of the earth, having determined allotted periods and the boundaries of their dwelling place, 27 that they should seek God, and perhaps feel their way toward him and find him. 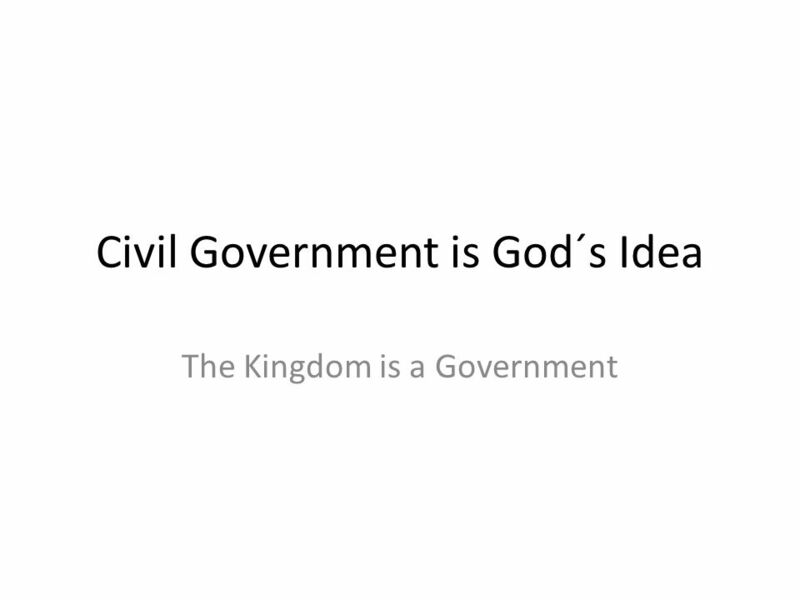 18 Romans 13:1-7 Let every person be subject to the governing authorities. 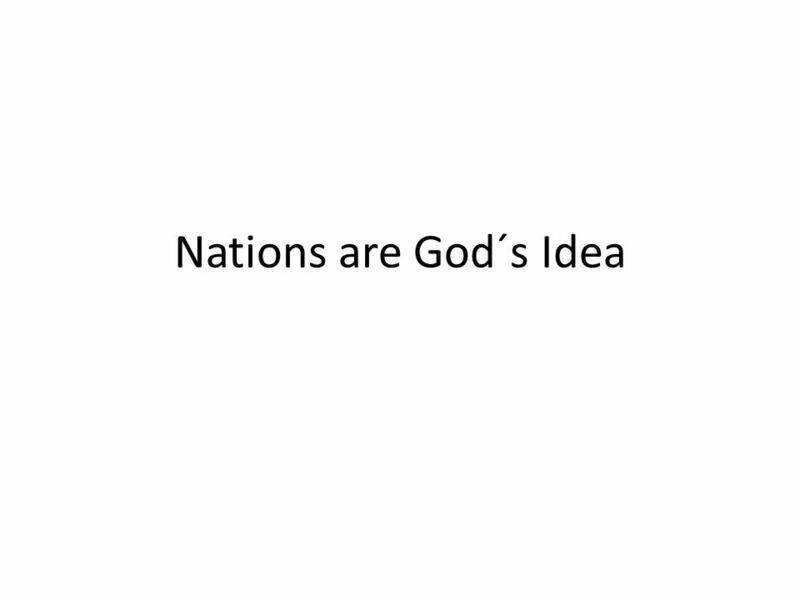 For there is no authority except from God, and those that exist have been instituted by God. 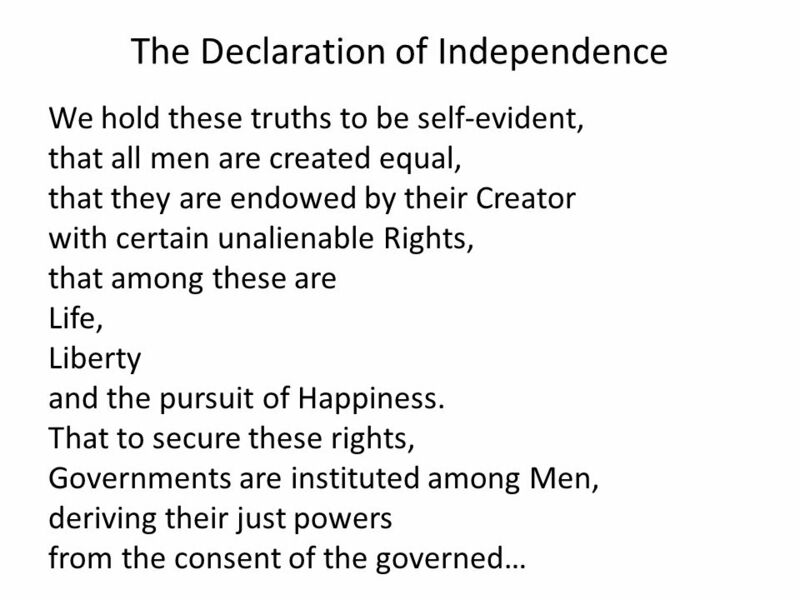 2 Therefore whoever resists the authorities resists what God has appointed, and those who resist will incur judgment. 19 3 For rulers are not a terror to good conduct, but to bad. 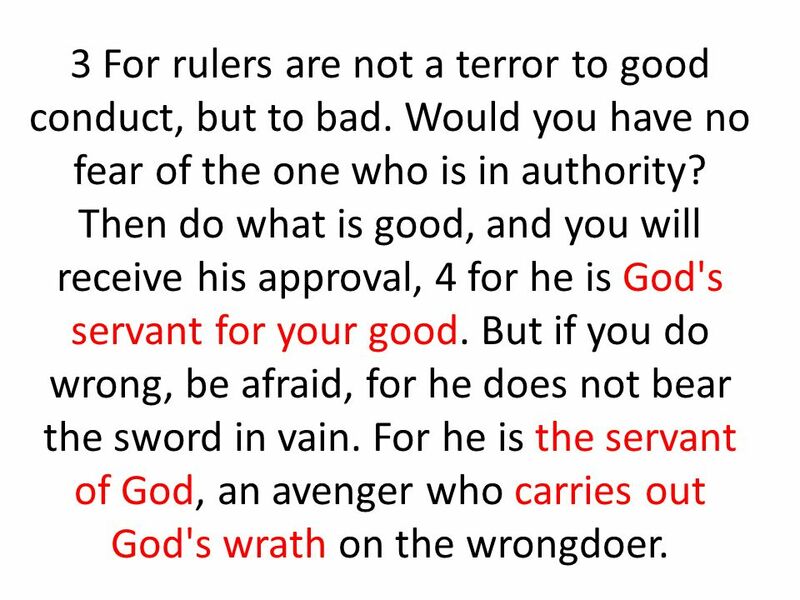 Would you have no fear of the one who is in authority? Then do what is good, and you will receive his approval, 4 for he is God's servant for your good. But if you do wrong, be afraid, for he does not bear the sword in vain. For he is the servant of God, an avenger who carries out God's wrath on the wrongdoer. 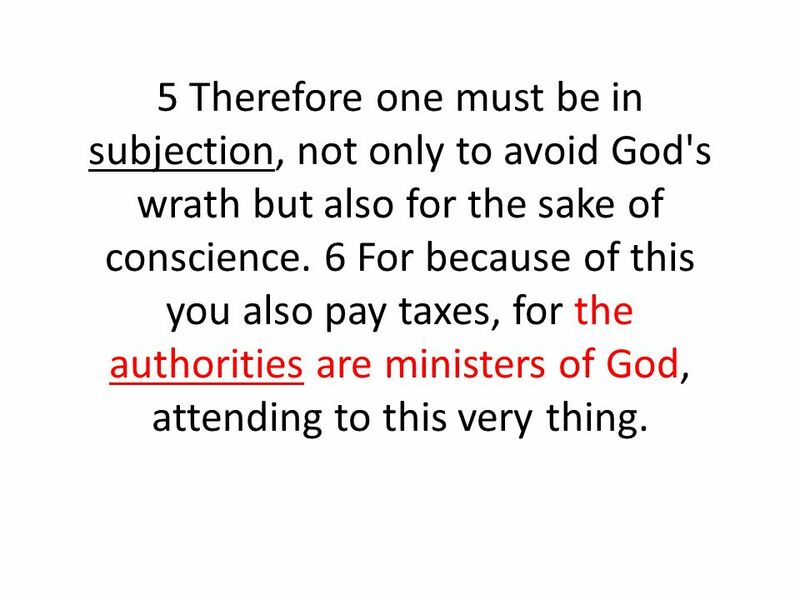 20 5 Therefore one must be in subjection, not only to avoid God's wrath but also for the sake of conscience. 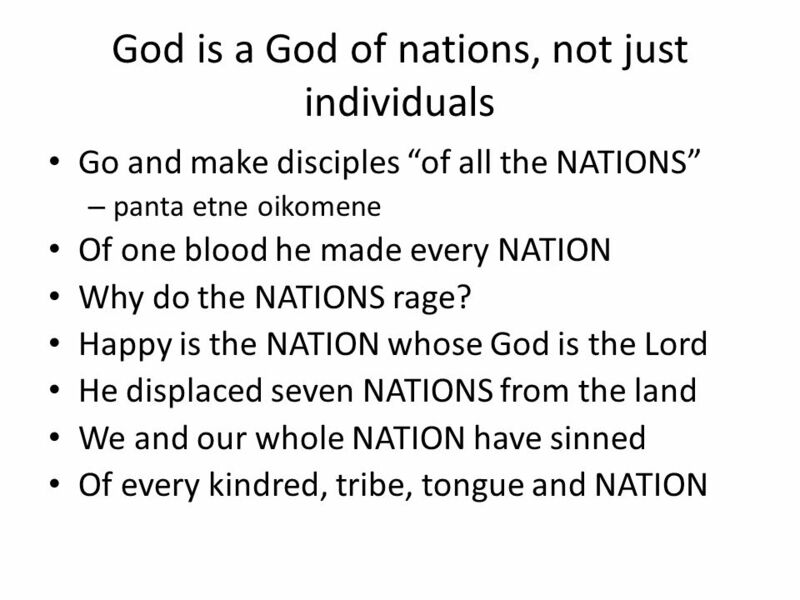 6 For because of this you also pay taxes, for the authorities are ministers of God, attending to this very thing. 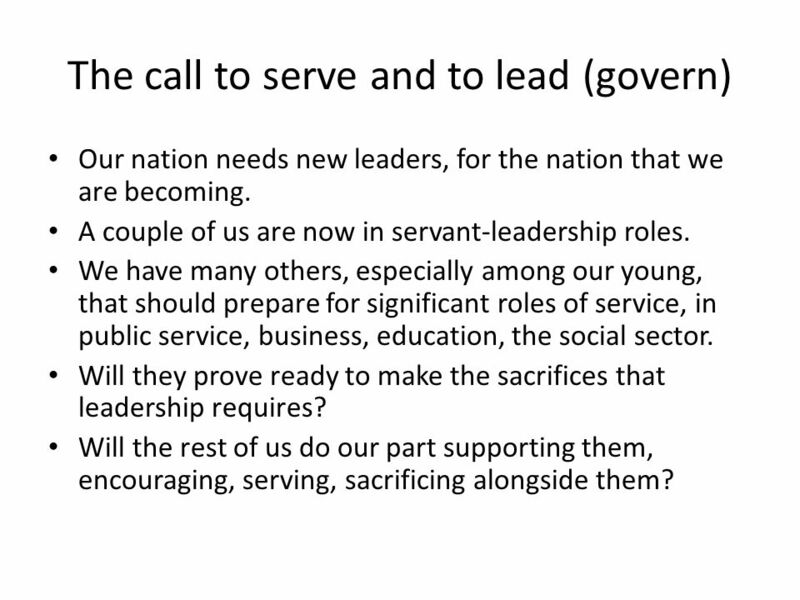 24 The call to serve and to lead (govern) Our nation needs new leaders, for the nation that we are becoming. A couple of us are now in servant-leadership roles. We have many others, especially among our young, that should prepare for significant roles of service, in public service, business, education, the social sector. Will they prove ready to make the sacrifices that leadership requires? 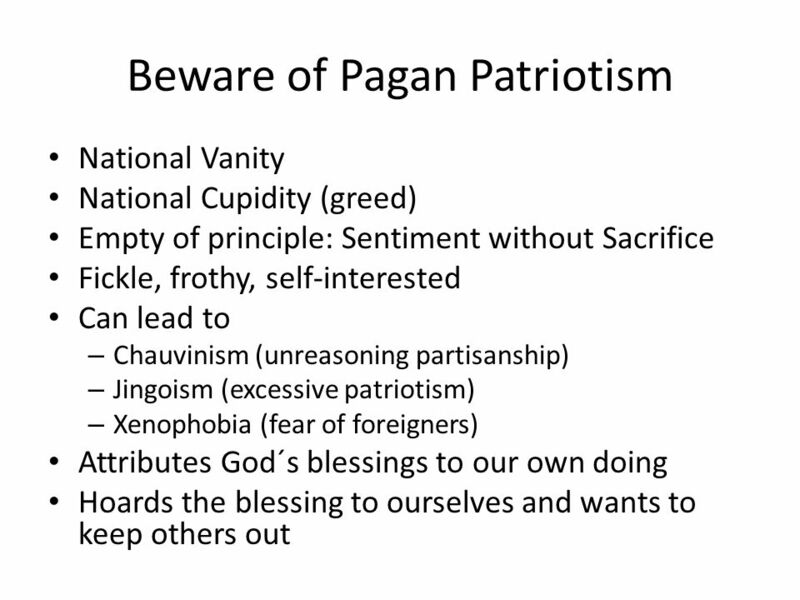 Will the rest of us do our part supporting them, encouraging, serving, sacrificing alongside them? 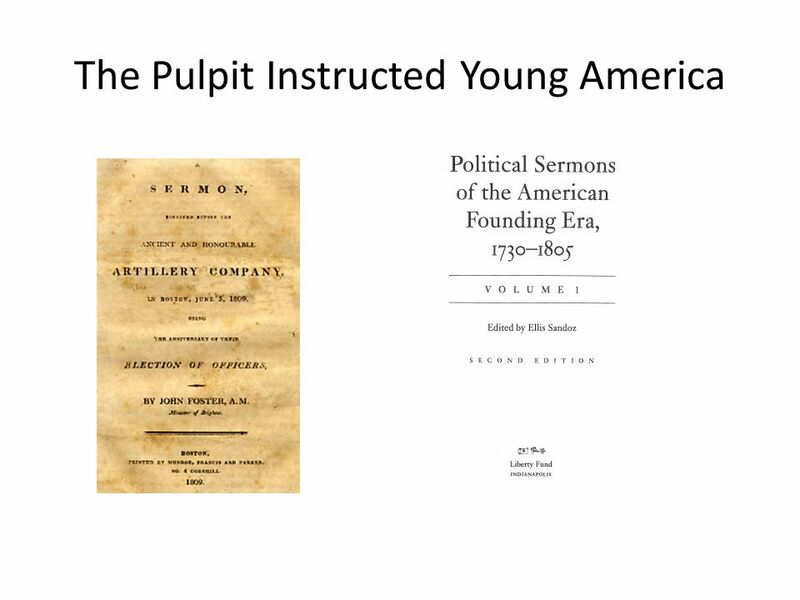 Download ppt "We hold these truths… A remembrance of our nation´s Birth 227 years ago." 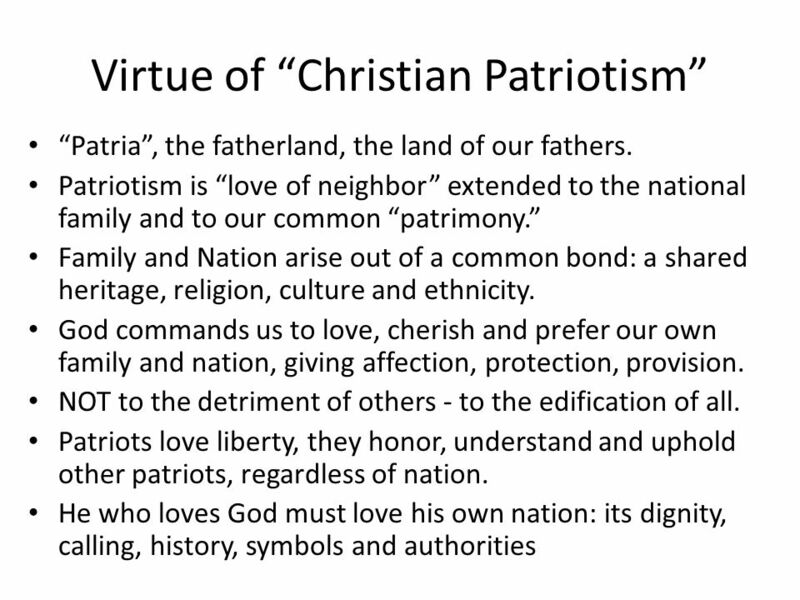 RESPONSIBLE CHRISTIAN CITIZEN VERSION 1. OBEY THE GOVERNMENT. 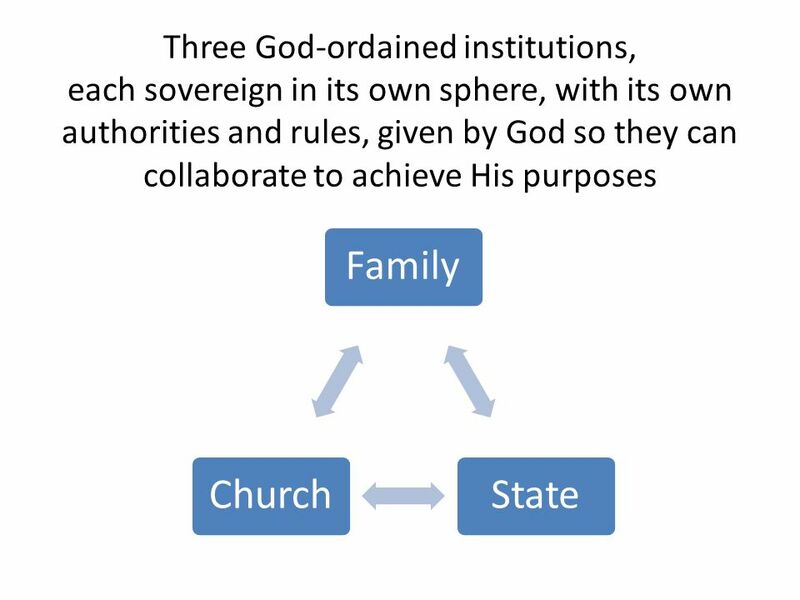 Rom 13:1-7 Every person must be subject to the governing authorities, for no authority exists. 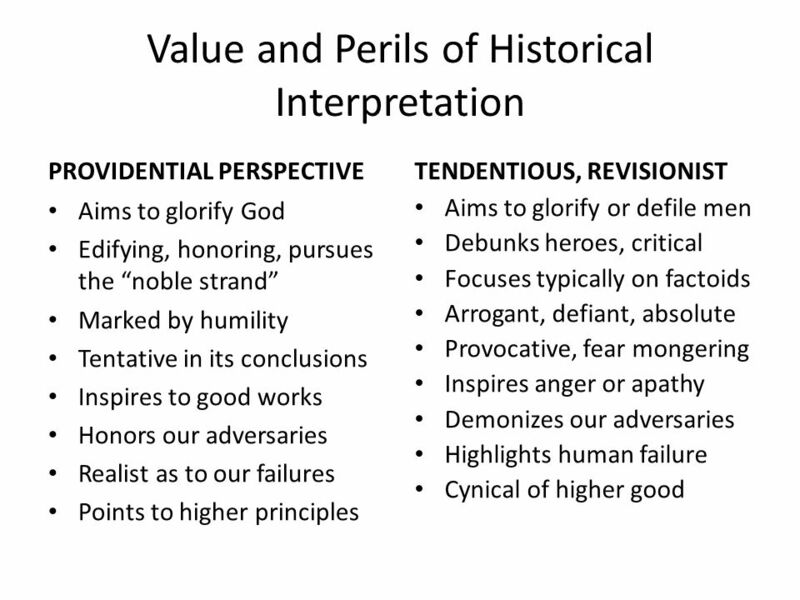 Voting Biblical Values … How do I chose in confusing Times? Romans 13:1-7. 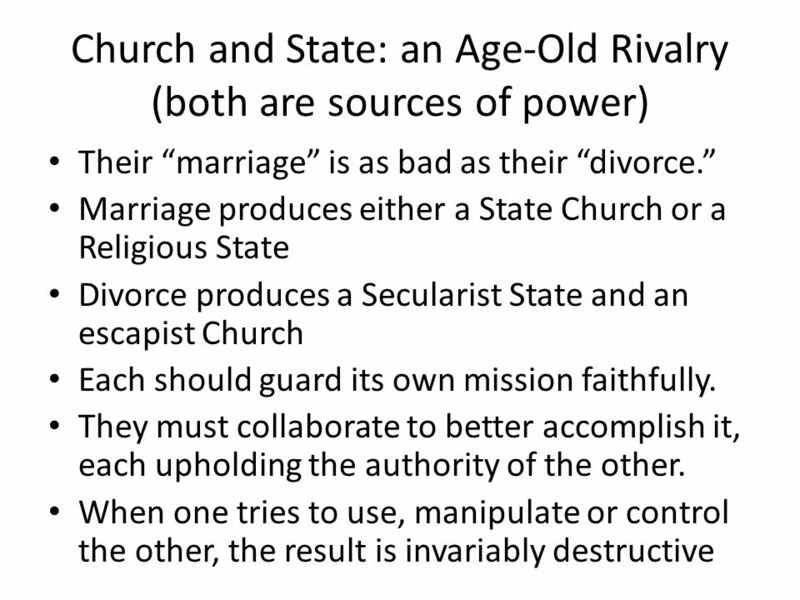 Church and State. 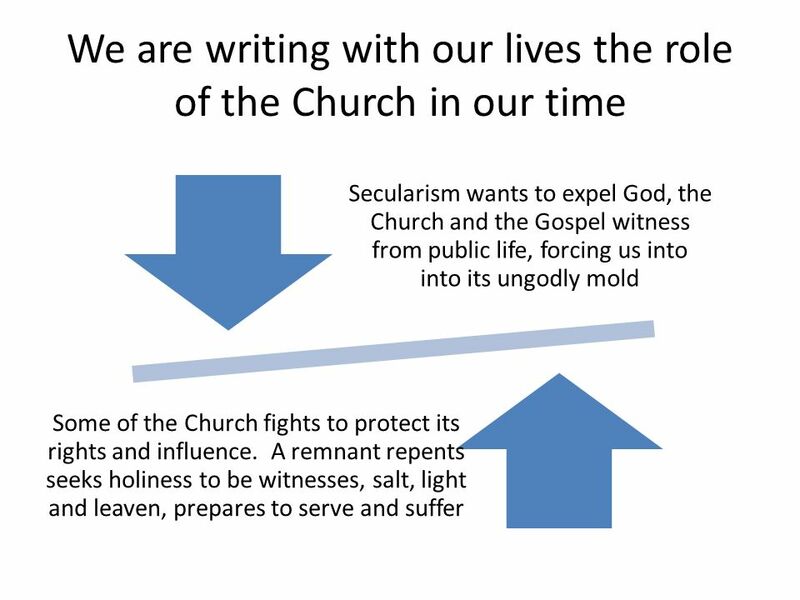 Similarities Similarities Both are instituted by God.Both are instituted by God. Tickets on sale NOW in the children's wing!! When Doing Right Becomes Vanity Many people go through the motions of doing the right things, but it is all in vain. HOW TO GLORIFY GOD MATTHEW 5:13-16. Lesson 12. 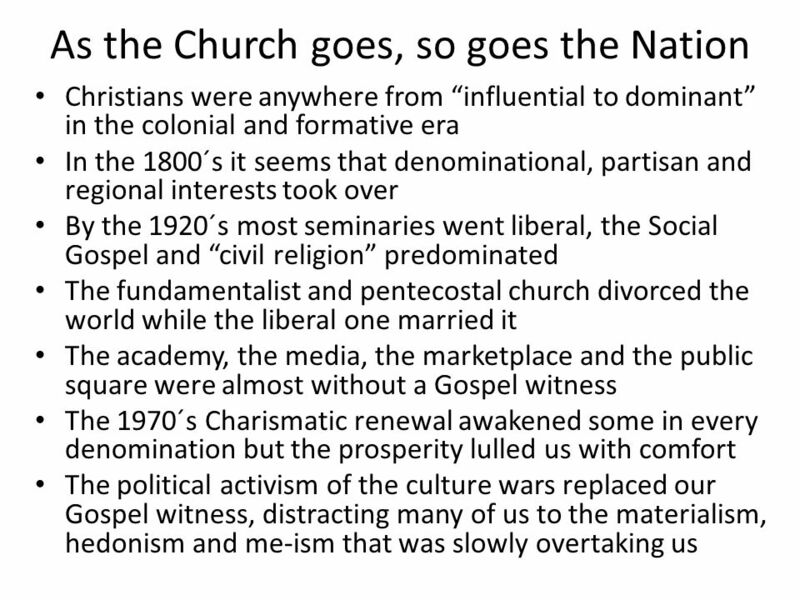 What does God teach us about those whom he has placed in authority over us? The Fourth Commandment What does God teach us about those whom he has placed in authority over us? 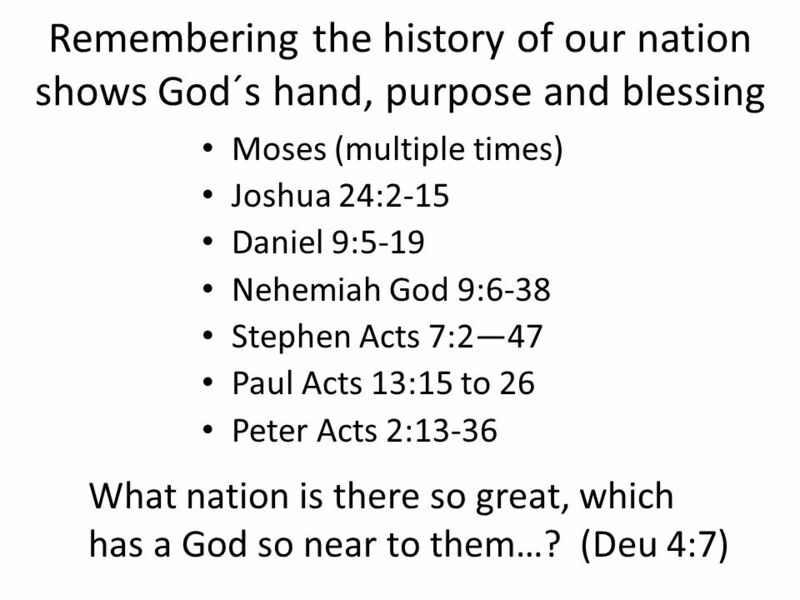 The Key To National Greatness Deuteronomy 4:1 – 8. PacifismJust WarCrusade. Matthew 5:21-22… “You have heard that it was said to the people long ago, 'Do not murder, and anyone who murders will be subject. 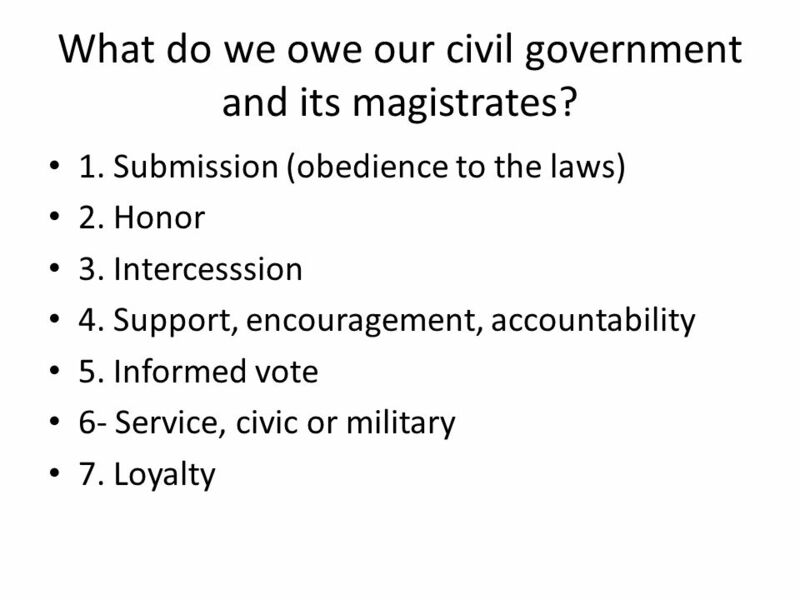 The Christian’s Relationship To Civil Government Text Rom. 13:1-7 1. 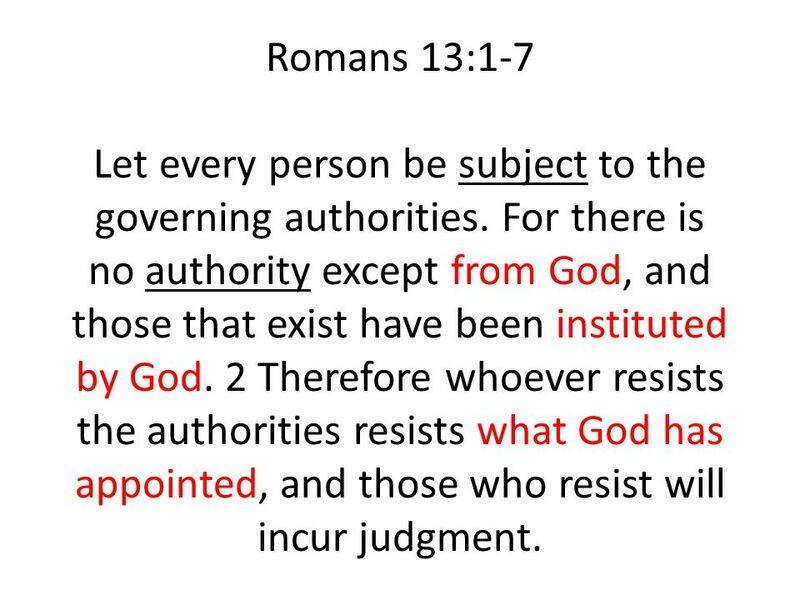 Romans 13 1 Let everyone be subject to the governing authorities, for there is no authority except that which God has established. The authorities that. How to Be a Radical Christian Romans 13 Page 966 in Pew Bibles. The Day to Love November 16, Romans 13:1-14 Let everyone be subject to the governing authorities, for there is no authority except that which God.